Samsung Galaxy J6 mobile comes with 5.6" inch Super AMOLED Infinity Display to see beyond the screen, 13MP Rear Camera can capture everything clearly and 8MP Front Camera can capture your beauty. Face Recognition can unlock the boundaries. 3GB RAM + 32GB ROM with Exynos 7 Series Octa-Core Processor for more speed and better performance. The feature helps to opt the mobile for buying. Samsung Mobile Phones Best Offers on Poorvika Mobiles. 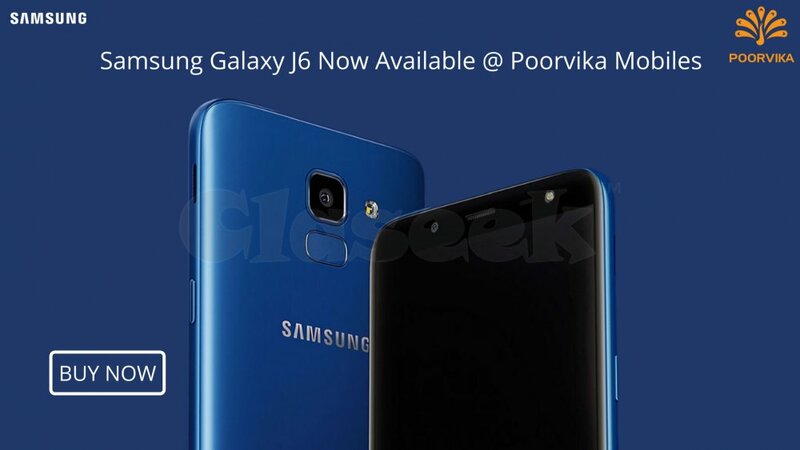 To Check Samsung Mobile Phones Price List in India at Poorvika Mobiles.